Jeb Bush Speaks in N.H.
Republican Presidential candidate Jeb Bush speaks at a campaign event in Des Moines, Iowa, Feb. 1, 2016, ahead of the Iowa Caucus. 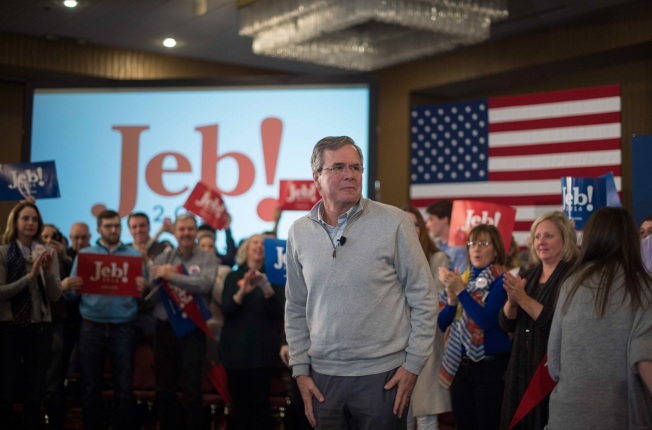 Republican presidential candidate Jeb Bush spoke in New Hampshire Tuesday morning. The event comes the day after the Iowa caucuses.